▸ How Can I Track The Status Of My Orders? ▸ Can I Track The Shipment of my Order? ▸ Can I Change Or Cancel My Order? ▸ Does CYSM Ships Internationally? ▸ How Soon Will My Order Be Shipped? ▸ How Do I Know Wich Size to Offer? ▸ Wich Products Are Available In Plus Sizes? ▸ Where can I Download the CYSM PRO App? ▸ How Do I Use The CYSM PRO App? ▸ How Can I Easily Share My Products With My Clients? ▸ Where Can I Get Digital Catalogs And Magazines? ▸ How Do I Know When Something New Will Come Out? ▸ How Can Share My Products With My Clients? We accept payments via Visa, MasterCard, Amex, Dinners, Money order, COD, PayPal, or you can pay cash in the store. After Check-out, you will be sent an e-mail. In this e-mail, we will provide you with a link where you can check for updates on your order. 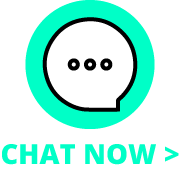 You can also chat with us live online, by e-mail or by phone, and we will be happy to assist you in tracking your order. Yes, you can track the shipment of your order! Orders are usually shipped within 24 hours (on normal business days). Once a shipping label has been created, you will be sent an automatic e-mail containing your order's tracking number. Please allow up to 5 hours for that tracking number to arrive at the post office or UPS facility for its first scan. Yes, you can change or cancel your order at any time before the order has been shipped. If the order has been shipped, you will no longer be able to cancel/change the order. But we will gladly exchange your order! If you wish to exchange an item, for any reason, we will assist you, as long as the product meets the conditions of our Return & Exchange Policy. I Still Have Doubts About Making Orders. You can Visit our Guide to make Orders don't worry, all your questions will be answered there and If you still need personalized assistance, you can Contact Us and we would be glad to Help! Orders are usually shipped within 24 hours on regular business days. The delivery time depends on the zip code and state in which you are located. Usually between 1-7 business days. I Placed An Order On A Weekend / Holiday. When Will My Order Be Processed? Yes, you can track the shipment of your order! Orders are usually shipped within 24 hours (on normal business days). automatic email containing your order’s tracking number. the post office or UPS facility for its first scan. My Client Needs More Control. Should I Go Down A Size? We do not recommend going down a size, in this case; as an improperly fitting garment could cause health problem/increased discomfort. What you can do is select an item with a stronger compression level! Our website includes icons which will help you determine the compression level of each item. These icons will guide you in selecting the level of compression that your clients desire. How Do I Know Which Size to Offer? You can easily determine your client's garment ideal size using the size chart that our website has displayed for each type of material. The size charts have been tested on over 500 users; giving you the most accurate way of determining the perfect size. We do advise taking into consideration the garment's level of compression. A high-compression item in a size "Medium" will not feel the same as a low compression of the same size. What Size Should I Select If My Client Plans On Losing Weight? We recommend selecting a smaller size, only if they are on the lower end of the size indicated to you by the size chart. Where Can I Search For The Size-Equivalents Of The Measurements? To determine the measurement equivalents, please refer to our Sizing Chart Page. If your client is between sizes, you should consider their tolerance for compression, their experience using shapewear and the compression level of the Item you are looking at. Wich Products Are Available In Plus Sizes? For plus size products, follow this link! What If I Don't Find Anything Their Size? CYSM Manufactures its own products, so we often have styles that are made for specific wholesale customers, which can be made for larger sizes. Feel free to contact us to follow up on a specific size request. I'm Unsure About Sizes / I Still Have Questions About The Right Fit. What Should I Do? Please contact us using the live chat button or using our Contact Info. We are here to help you find the perfect item for your clients. Where Can I Download The CYSM PRO App? How Do I Login to the CYSM PRO App? Once you get approved to be a CYSM wholesaler, you will create your online account on cysmpro.com. The same Login Information Used to log into your cysmpro.com account will also allow you to access the private CYSM PRO app. If you haven't set up your online account on cysmpro.com, please contact us and we will get you set up right away. Or you can follow this link: http://cysmpro.com/acount/register, to create your account. How Do I Use The CYSM PRO App? How Can I Easily Share My Products With My Clients? For this, we have designed The CYSM DIgital Library that you can Find here. Just download the products you want to recommend or sell to your clients in the collections below and share!. The pictures have all the product information they need and you can even share them in social media or chat! Where Can I Get Digital Versions Of The Catalogs And Magazines? Visit the CYSM Digital Library and you can find there the pdf versions of the Catalogs, Magazines, Price Lists and Size charts. Not only that, but you can find Social Media pictures. All you need and easy to download! How Do I Know When Something New Will Come Out? Contact us to activate your cysmpro.com Wholesale account. Register here to subscribe to the weekly newsletter! Read the latest news in the CYSM Weekly Advice. Download the CYSM PRO APP. · Contact us to activate your cysmpro.com Wholesale account. 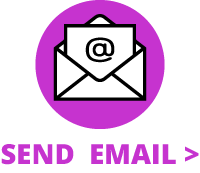 · Register here to subscribe to the weekly newsletter! · Read the latest news in the CYSM Weekly Advice. · Download the CYSM PRO APP. M-F 8:30 A.M. to 7:00 P.M. / S 8:30 A.M. to 5:00 P.M.